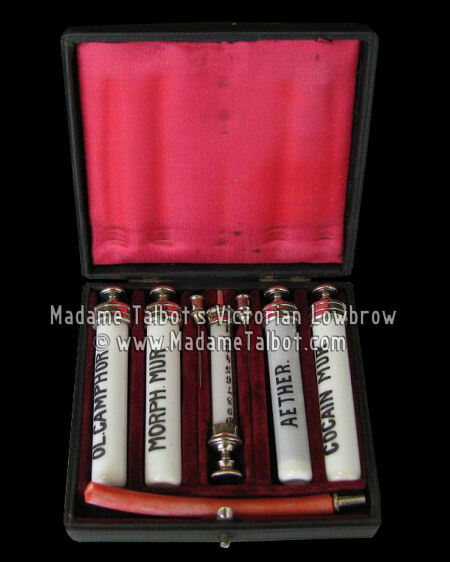 Beautiful antique 19th century medical set of empty porcelain poison vials in original velvet fitted box. The vials are labeled OL. CAMPHOR, MORPH MUR, COCAIN MUR, AETHER. Porcelain syringe with original hypodermic needles, all hand-painted. Box size: 4 inches by 4 inches by 3 and 1/2 inches.